What Is Yarrow Essential Oil? There’s a possibility that you might have come across the yarrow plant by one of its many names – and not even known it was yarrow. In fact, out of all the plants I’ve researched, this one takes the award for ‘Longest List of Nicknames” – hands down. Some of which include ‘bloodwort,’ ‘death flower,’ ‘knight’s milefoil,’ ‘old man’s pepper’ and ‘snake grass’ to name but a few. Since identifying it correctly as the yarrow plant, I’ve been growing a few in my garden and using the flowers and leaves for savory baking, teas and even in my vegetable soups. The plant has an interesting taste, sweet but somewhat bitter too and adds a certain zest to any meal. As a flower it looks really nice too, and works excellently when plating anything from starters to desserts. However, I’m really going to focus on the yarrow plant’s most important feature in this article – the essential oil that is produced from it. There’s no better way to utilize the maximum potential of a plant, than by extracting its essential oils and I’ll explain exactly why further in the article. Yarrow grows in many parts of the world and is native to a lot regions such as Australia, New Zealand, Asia, parts of Europe and even North America. It has been used for centuries as a natural medicine and as a vegetable in cooking. The yarrow plant is a really hardy little plant and grows in most difficult conditions – meaning, it’s drought resistant and takes well to harsh soil conditions. It is often planted for decorative purposes, but is also used to encourage pollination in bee-keeping, as the flowers have a strong and pleasant aroma that makes for really great honey. The yarrow plant is actually considered a weed in some parts of the world – which I find quite odd because it has so many helpful properties and is really versatile. So, for the purposes of this article – I hope to assure you that it’s really a fantastic plant, not some common weed. In its natural form, yarrow is already incredibly useful. The stems and leaves can be crushed into a pulp which can be applied to the skin (topically) to help relieve pain, irritation, bruising and even swelling. However, it’s the dark blue essential oil that really contains all the amazing qualities that I’ll be discussing in this article. Yarrow contains a variety of very strong flavonoids that make it suitable as a natural substitute for common, over-the-shelf pain relief medication (as well as a variety of other chemical treatments). The oil is extracted through steam distillation and this method produces the cleanest version of the oil – unlike most solvent based methods. So be sure to acquire only steam distilled essential oil as it’s the safest option for consumption and medicinal use. 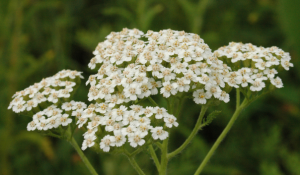 Yarrow has strong analgesic and antiseptic properties that make is suitable for treating open wounds, in fact the potent astringent nature of the oil also helps wounds to heal faster and is commonly referred to as ‘nosebleed’, as it can halt a bleeding nose. I would highly recommend keeping a vial of this stuff around the home or in your car for treating any injuries – especially if you go camping quite often, as it’s incredibly effective and non-toxic, so you don’t have to worry about any possible downsides or side-effects (so long as you don’t overuse the oil). The yarrow plant in nature. As I mentioned earlier, utilizing this amazing plant is as easy as literally crushing some of the stems and leaves into your palm (or with a mortar and pestle) and applying it to the affected area on your skin or adding the paste to your soup or tea for an internal detox and mega-cleanse. However, for a truly effective product I recommend purchasing some of the steam distilled, essential oil. I generally recommend the manufactured product because it’s regulated in the manufacturing process and is designed to be as effective as possible. I have often recommended home-made recipes to friends or families, who have later complained that it didn’t work. I don’t want anyone to get discouraged from using natural products (or their variants) after one botched home recipe and claim that none of it works and that they’d rather just go back to pharmaceutical treatments. Getting the ratios, timing and ingredients all to work together in synchronicity can be a challenge, and could take you a try or two to get right. However, getting a natural product that works is a truly thrilling experience and a really healthy alternative. That being said, making your own yarrow oil at home is actually quite a simple process because of the plants natural potency. However I’d like to stress that a homemade recipe is rarely as concentrated as steam distilled essential oils are, so again – I’d recommend you use the distilled oil, along with your homemade oil in order to increase volume (and save money). 2 Cups of freshly dried yarrow clippings (leaves and flowers included). 1 cheesecloth filter (or fine steel mesh). Some rosemary to add extra potency. 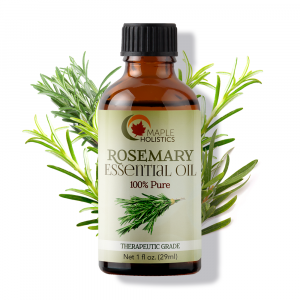 Now, all you have to do is simply place the yarrow clippings as well as the rosemary directly into the glass jar and pour the oil over them, until it fills just more than ¾ of the jar. Now, place the jar in a cool dry place so that essential phytonutrients of the plant material can be extracted – leave the jar to rest for about 3-4 weeks, and shake regularly. After the time has elapsed, pour the oil through the filter and remove all the plant material. 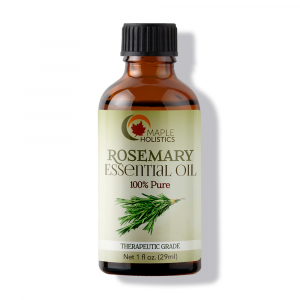 What you have left is essential yarrow oil, but it’s best to leave the oil on a sunny windowsill for a few more days to ensure that it matures well and that as many of the essential nutrients and chemicals of the plant are released into the oil. 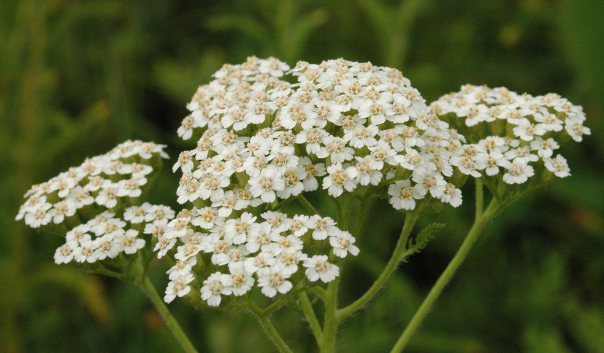 Yarrow essential oil for acne and skin care. Yarrow oil could be one of the best plants (and essential oils) to use when looking for a natural skin care and acne treatment. The plant is effective as a natural cicatrisant, which means that it helps to increase blood stimulation and thus allow the skin cells to regenerate faster. This means that acne scars can be healed faster than they would if they were left untreated as well as scars on other parts of your body. 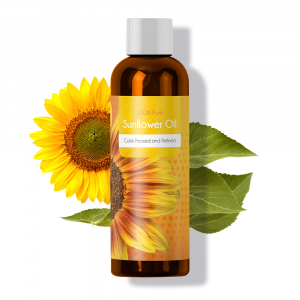 The strong astringent nature of the oil also means that it will tighten your pores and your skin, helping to make your skin look healthier and slowing the signs of aging by reducing the effects of wrinkles. Yarrow also contains a wide variety of phytonutrients and chemical compounds that make it a very effective and non-toxic antiseptic agent. Chemicals such as borneol acetate and y-terpinene are highly natural germ killers and will keep any bacteria from infecting the area that the oil was applied to. 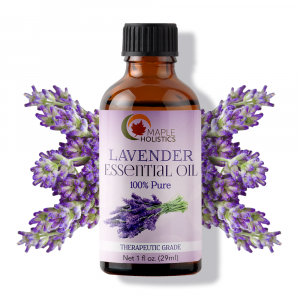 The oil is also rich in linalool and 1,8-cineole which help to remove any excess sebaceous oil that your skin produces as well as regulate the amount that your skin produces on a daily basis. This excess oil is one of the main causes of pore blockage and blemishes and slowing your skin’s production of the oil will definitely help you in achieve healthier skin in no time. Yarrow essential oil for hair. 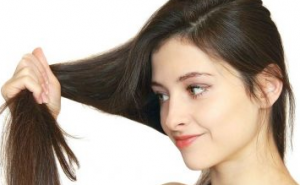 Have you been using regular shampoo on your hair to no effect? Does your hair still feel dry, itchy at times or even fall out now and then? This is because you haven’t made the shift to natural treatments yet – as most conventional treatments contain a multitude of chemicals that can harm certain hair types. At the least, changing to a purely herbal shampoo is the first step in the right direction. Or, you can check out our Rogaine for men or women features! Utilizing essential oils in your hair care process is just as important and should be seen as the next step in ensuring that you have a healthy head of hair for a longer period of time. Yarrow oil has natural astringent properties that will help to tighten the pores on your scalp, meaning that the hair follicles are gripped more tightly and helping to slow or ultimately prevent hair loss. On top of that, the rich linalool and 1,8-cineole content in the yarrow oil will penetrate your scalp deeply and allow you to nourish your hair from the roots, making sure that they’re healthier for longer. 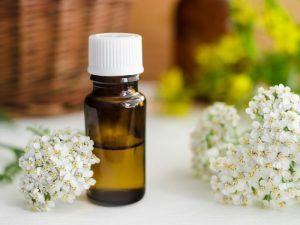 Finally, you can also use yarrow oil to get rid of any excess oil that’s in your hair by mixing about 15 drops of the oil into a glass of luke-warm water and washing your hair with it. Once you’ve soaked your hair in the water, rinse the oil out with normal warm water. 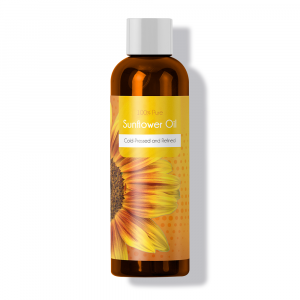 This should get rid of any excess oil that will cling to your hair follicles and cause your hair to become matted and clumpy. Doing this repeatedly will also help to protect your hair against split-ends and add volume to your hairdo. So give it a try, what have you got to lose? Looking to learn more about essential oils? How about Frankincense, Peppermint or Orange Essential Oil? Read on here at Maple Holistics! Ultimately, I would highly recommend adding yarrow oil to your shopping list whether you’re experienced with essential oils and their uses or even if you’re a beginner. Ever since using the oil, I started cultivated a few plants in my garden because they grow so easily and smell delightful. Having direct access to the plant in my backyard means that I can always mix and blend it with other essential oils and herbs or vegetables to make a variety of homemade products, such as herbal shampoos, skin lotions, sauces and even soups or teas. Really an amazing and versatile plant that I think deserves to be thought of as much more than a common weed.